Nationalism may be responsible for giving North Koreans a break from state-sponsored television programs this month, if the country’s negotiations with the Asia Broadcasting Union (ABU) for broadcast rights for the 2012 Summer Olympics go well this week. VOA reports (via North Korea Tech) that ABU president Kim In-kyu is set to travel to North Korea on Tuesday for talks with a government broadcasting committee. Update: The ABU and North Korea have reached an agreement for the Olympics and also agreed to “further the cooperation between them,” according to North Korea Tech. Also of note, Kim will reportedly be the first private South Korean citizen invited to North Korea since the funeral for former leader Kim Jong-il took place late last year. Though Kim is also the chairman of South Korea’s Korea Broadcasting System, his trip takes place under the auspices of the ABU. Seoul Broadcasting System (SBS), which bought the rights to the Olympic Games for the Korean peninsula, plans to sell media rights to KBS and MBC in South Korea. According to VOA, SBS asked the ABU to manage negotiations with North Korea. As if the pressure to perform wasn’t already high enough for North Korean Olympians, now they’ll have everyone watching back home to see whether they bring back the gold or just a suitcase full of disappointment. 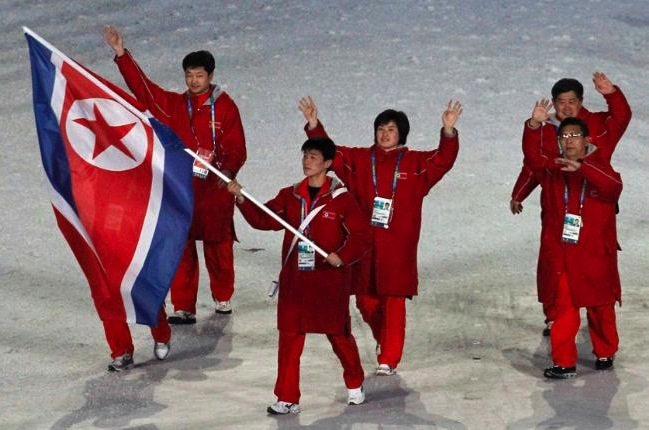 North Korea competed in 11 sports at the last Summer Olympic games, which were held in neighboring China. The country received a total of six medals in 2008, including two golds (weightlifting, gymnastics), one silver (judo) and three bronze (judo, weightlifting). For this year’s games in London, which kick off on July 27, North Korea is expected to send 51 athletes.